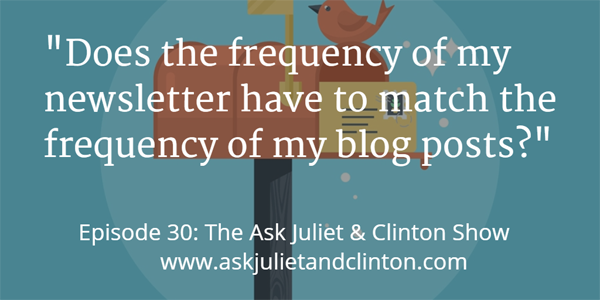 In this episode, Juliet and Clinton answer questions about whether the frequency of newsletters has to match the frequency of posting blog posts, how to write website copy that is not boring and doesn’t sound like everyone else’s. Finally, they explain what “re-marketing” is. 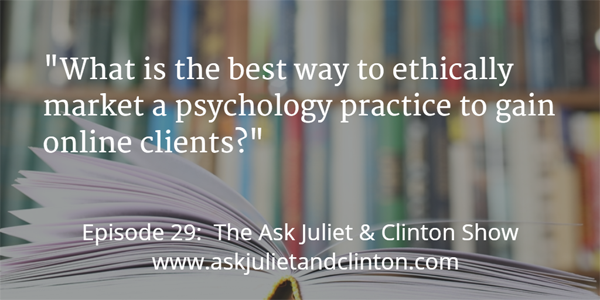 Episode 029: What is the best way to ethically market a psychology practice to gain online clients? In this episode, Juliet and Clinton discuss how to ethically market a psychology practice to gain online clients, some of the best productivity tools, and how to start selling health products online. 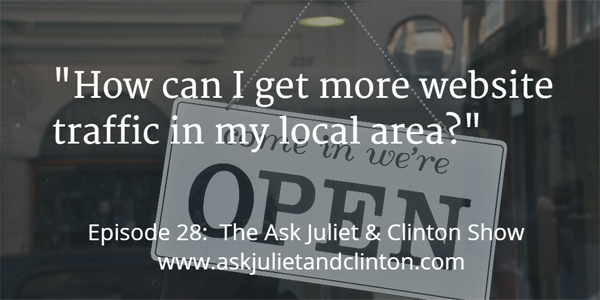 Episode 028: How can I get more website traffic in my local area? 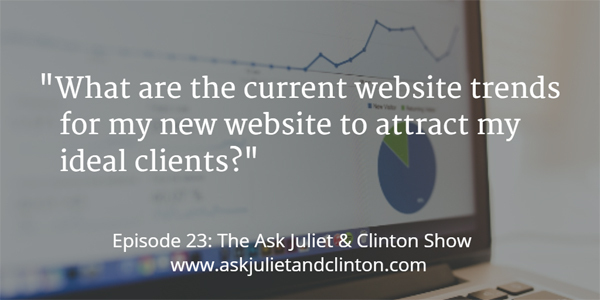 In this episode, Juliet and Clinton answer questions about getting website traffic from your local area, whether you should offer a free consultation to clients, and how to use Pinterest effectively. 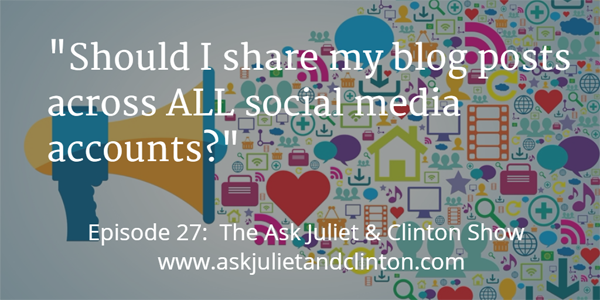 In this episode, Juliet and Clinton discuss whether you should post the same content to all your social media accounts and how to manage this. They also answered questions about how to use successful client stories in a way that doesn’t breach confidentiality, and what you need to do when you change your niche. 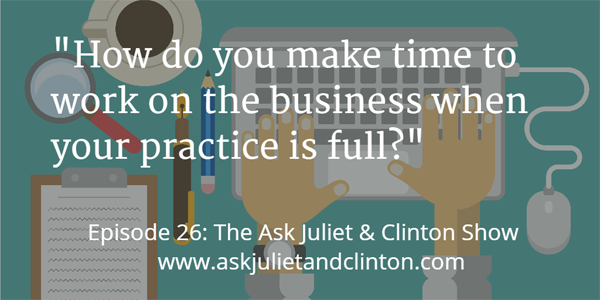 In this episode Juliet and Clinton discuss how to manage your time when your therapy practice is full so that you can work on your business, how much copy you should have on a therapist website, and if you should put fees on your website. Episode 25: What’s the best online marketing strategy to redefine my business? In this episode Juliet and Clinton discuss how to reinvent yourself in order to stand out from the crowd, how to make your website mobile responsive if you don’t want to get it re-designed, and how much one should pay for Facebook ads, as well as how long they should run for in order to get results. 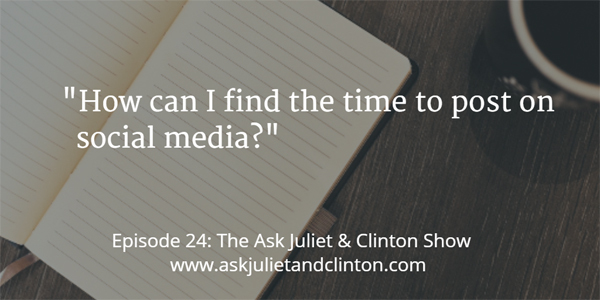 Episode 024: How can I find the time to post on social media? In this episode Juliet and Clinton discuss how to create images for your social media accounts and blog, how to write a compelling directory listing for Psychology Today and other counseling directories, and how to convert a slide presentation into a video and use it to promote a therapy practice. Episode 023: What are the current website trends for my new website to attract my ideal clients? 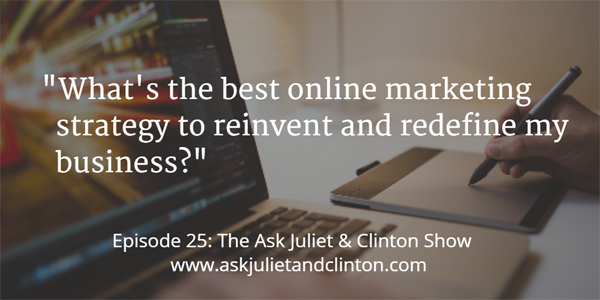 In this episode Juliet and Clinton discuss the most important things to consider when getting your therapy or natural health website re-designed, how much one should invest in marketing your practice or business, and options for online advertising, other than Google Adwords. Episode 022: How should I price my therapy services? 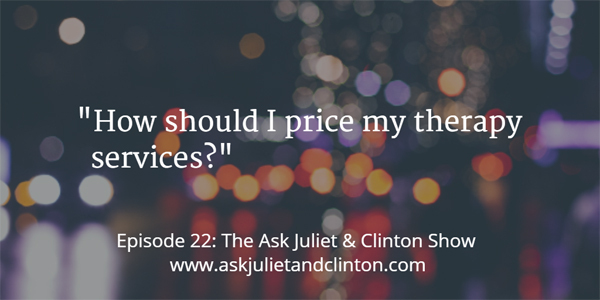 In this episode Juliet and Clinton discuss pricing strategies, the best ways to market to doctors, adding coaching to your practice and the best coaching niches. 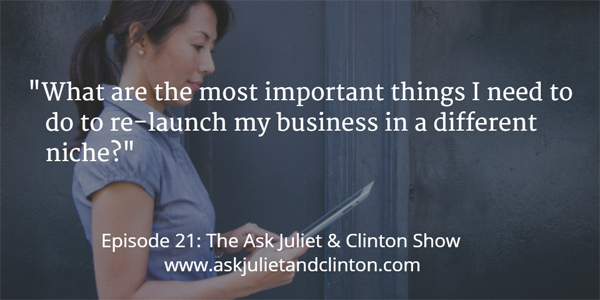 In this episode Juliet and Clinton discuss what you should consider when changing your niche, the effectiveness of having a free offer in order to get someone to sign up for your email list, and how hashtags are used on Twitter and other social media platforms.